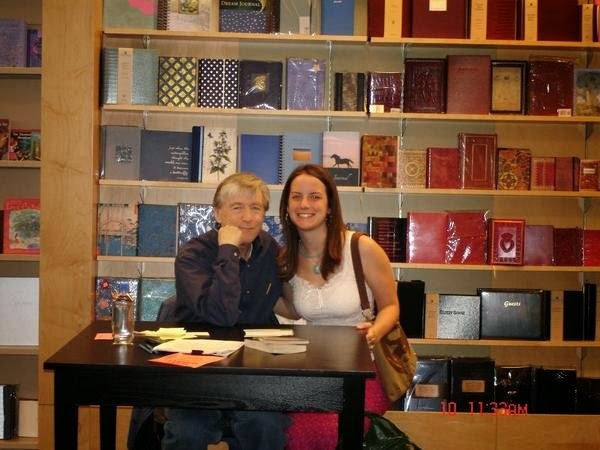 Jerry Spinelli has always been my favorite author. I love the way his stories keep me interested and make me laugh out loud! I fell in love with his books when I was in fourth grade and read Maniac Magee. I remember when I lived with my grandmother, I would have her read me that book while I ate breakfast before school every morning. During my first year of teaching, I was co-teaching with another teacher and was assigned to work with a guided reading group. I was asked to teach the 6th and 7th graders, Stargirl. Another favorite and I was so excited to share my love for the story with the students. For the past two years, I have started the fifth grade school year off with an author study of Jerry Spinelli. It works so well with my curriculum and is integrated into the social, reading and writing curricula. During the summer, students are asked to read Knots in my Yo-Yo String which is Jerry Spinelli's autobiography, It discusses his trials and tribulations through boyhood and depicts very specific places and events that are important to his life. While students read, they made a T-chart of data. "Important Places" and Pg. Number and "Important Events" and Pg. Number. This is due at the beginning of the second week of school. I divide the class up into 4 groups, with two books: Loser and Maniac Magee. I chose these books because I focus on the first six weeks of school as time when we are building the fifth grade community and learning about kindness, equality, community, and peace. The themes throughout both of these books fits in well with our Unit 1. While we are in Reading Groups, students discuss the story. Along side them are their notes from when they read Knots in my Yo-Yo String. We talk a lot about how Jerry uses his real life events and places in his fictional stories. We connect real people in his life with made-up characters in his books and Jerry's real interests with his characters' interests. It is so much fun to look for these connections while reading his books! I am teaching students how to write a fictional narrative and use their life to influence their writing - just like Jerry does! It was so much fun the other week when I told my class about how I met Jerry a few times at book signings. He is from PA and I am, too! I shared a picture of myself with him (above) and even read an email he wrote to me with advice on writing! 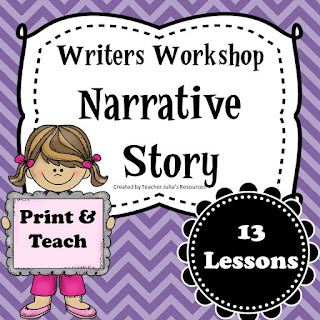 Students thought his advice was really helpful when they began writing their own stories. *I created a unit plan that helps me guide my students through the writing process. It can be found in my teacher store by clicking on the picture below. In Loser, the main character is an outcast and definitely lives in his own little world. In Maniac Magee, the main character ends up on a side of town where he is the only white kid and doesn't realize this is a problem until he is faced with a conflict/challenge. Both of these books really lend themselves to discussions that tie into the social curriculum (kindness, equality, community and peace). Have you ever done an Author Study in your classroom? How did it go? What author did you use?